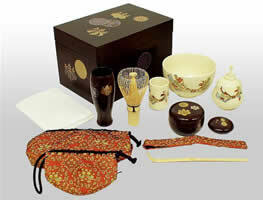 Chabako utensil box is used when a tea ceremony is held outside of the teacher’s own tea room or place. 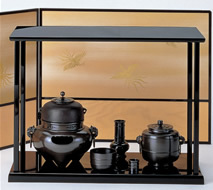 It is a portable, fairly large, shelf used to display tea utensils used during a tea ceremony. These are usually wooden or ceramic bowls. A pair of chopsticks is usually placed together with the Hachi,. The fire pitin would have an ash bed referred to as Ash from where fire is lit. These napkins are used during a Japanese tea ceremony particularly for either placing the sweets or sometimes cleaning the rim of the tea bowl or chawan after drinking Koicha. Kouboku is used during the tea ceremony to create a calming and aromatic fragrance in the tearoom. Two pieces of wood are placed in the fire. They are also put in the Kougou so that when the Shoukyaku later asks for Haiken of the Kougou, additional pieces of Kouboku would be available. This Japanese incense is used during winter as hot water is prepared. They appear like round balls which measure between 5 to 7 millimeters. During winter when it is cold, the Kama is heated using fire created in the Ro on the floor which is placed on a Tatami mat. 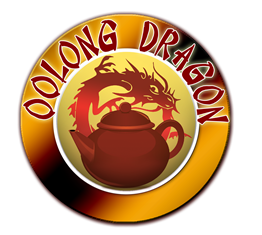 Tana refers to any kind of furniture made from wood or bamboo that is used during tea preparation. They vary in size, design and materials as well as features. The Tana is considered more casual compared to the larger utensil stand called daisu. These tea bowls can be frequently seen during a Japanese tea ceremony. The Teishu and Kyaku both have to be careful when holding the bowl as it can easily topple over and spill its contents. 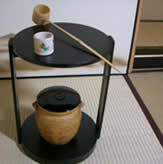 Since a Tenmoku tea bowl is narrow footed, a Tenmokudai can be used to prevent it from toppling over.